Good question. I have saved almost all of it. I have tried to segregate the lighter cappings wax from the more yellow comb wax. 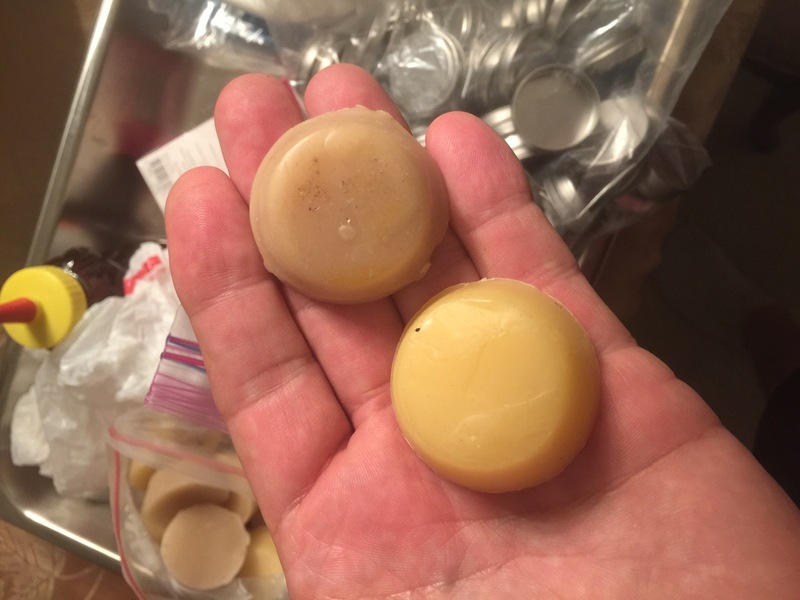 With my stock of wax decided to try my hand at making lip balm – move over Burt’s Bees, Bishop’s Bees is moving in. I don’t intend to “bee” a threat to his business. Next spring I will have table at some “Farmers Markets” in the area to sell my raw local honey and to have some value added products to sell. Hopefully to draw some more folks in. The lip balm may be one of a few products. I have plans for honey straws, more creamed honey of several flavors and possibly some honey wine vinegar. 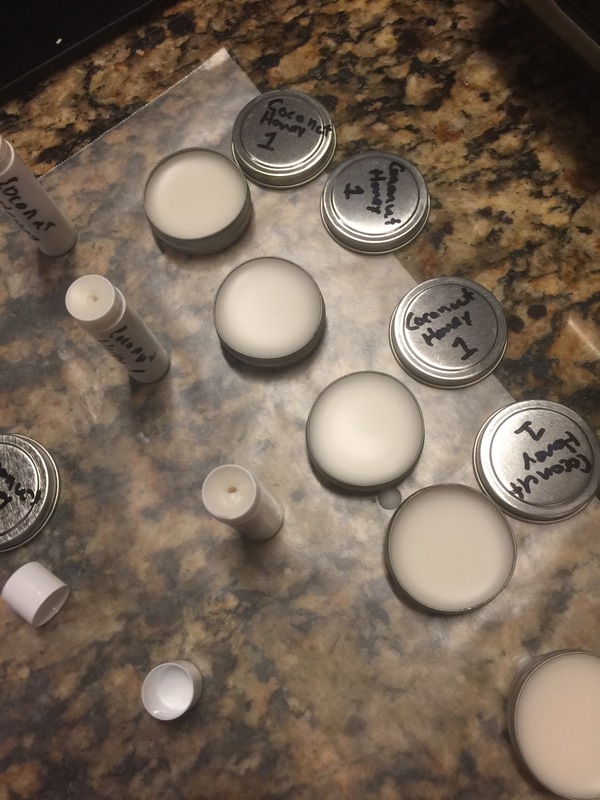 I made batch 1 of the lip balm today. This is a test batch. I weighed out 1 ounce of light beeswax, 2 ounces of organic coconut oil and 1/2 tsp of honey. All melted together and then divided into some small tins and a couple of tubes. All went pretty well. The only issue was the reluctance of the honey to blend into the melted oils and wax. More research to do. I intend to hand these few out, gather feedback and adjust going forward. 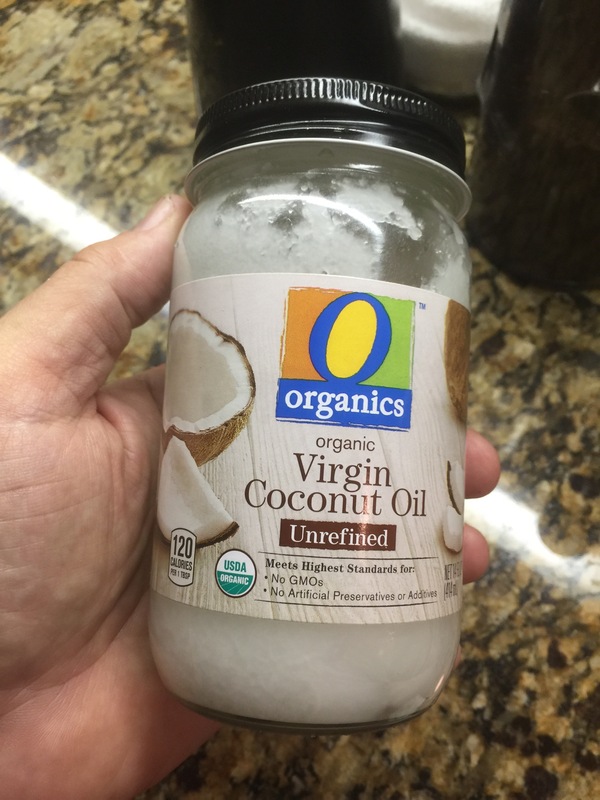 Coconut oil to start with. A look at some of the differences in color of beeswax. A few of the first batch samples. I will get some feedback and modify the recipe going forward. I am wanting to find a way to bring the flavor and aroma of honey out a little more for batch # 2. I’m working on some “extra” products as well. I would be interested to hear the feed back as things move forward. I currently have a food grade wood finish and a leather/ boot dressing that I have made so far. I’m planning a post about it soon. Good luck with your new products.